The rooms provided by Sarvmangla Garden have been decorated and designed in warm colors. The designer wallpapers complement interior decor and design of the space. 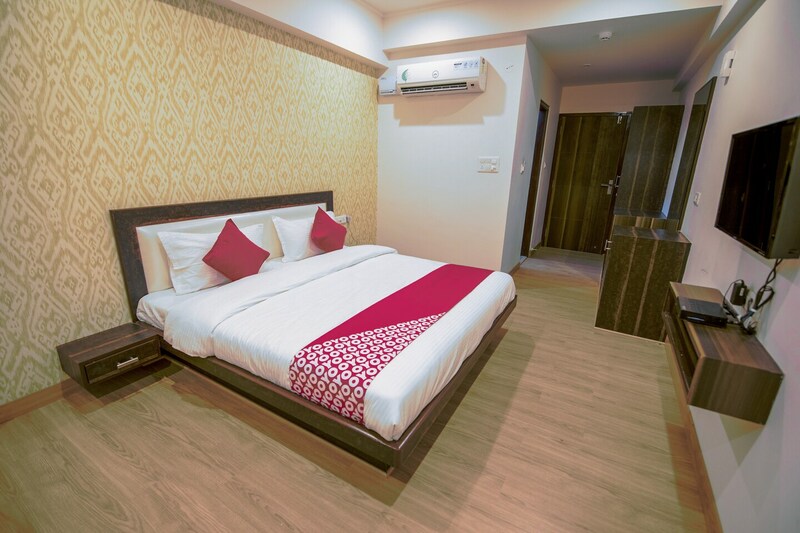 All rooms are well-furnished and the wise use of artificial lights in the room makes the rooms well-lit. The rooms are spacious and have been provided with large windows. Long curtains have been used to drape these windows which add a touch of elegance to the space. The extra facilities provided by the hotel are free Wifi, a common kitchen area, power backup, parking provisions, and CCTV cameras. The in-house facilities include a banquet hall which can be used by the guests as and when required.